Does your organisation need new branding or logo design? 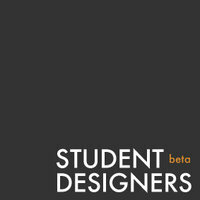 Student Designers allows you to set up competitions that use crowd-sourcing: design and art students compete to fulfil your businesses design requirements. Student Designers also enables students to develop their business acumen—an area not usually covered by design courses. Students greatly underestimate the value of their time and skills, and struggle with the balance between perfection and on-time delivery. Student Designers’ aim is to make students more employable and to develop the skills they need to set up their own business; an option appealing to more and more graduates in this economy. Alex, a Management Marketing graduate, started Student Designers last month following his experience with graphic design students while developing business projects during and after his time at RGU. Universities and colleges who are seeking ways to help students develop a wider range of skills view Student Designers as an effective way of providing them with practical experience and advice. Students throughout the UK are signing up in large numbers, and business representatives and social enterprises are registering interest. Interesting concept – all the best getting it off the ground. I’ll be sure to look you up with my next project! to upload and download accounts from anywhere. recognized that the increase in obesity rates is causing a financial strain on Canada’s healthcare system. of ephedra pills is illegal in US.